Mon., July 30, 2018, 5:44 p.m.
CALGARY, Alberta – Jarome Iginla closed his 20-year NHL career in the city where he was the face of the franchise. The 41-year-old winger made his retirement official Monday in Calgary, where he spent 16 seasons with the Flames. 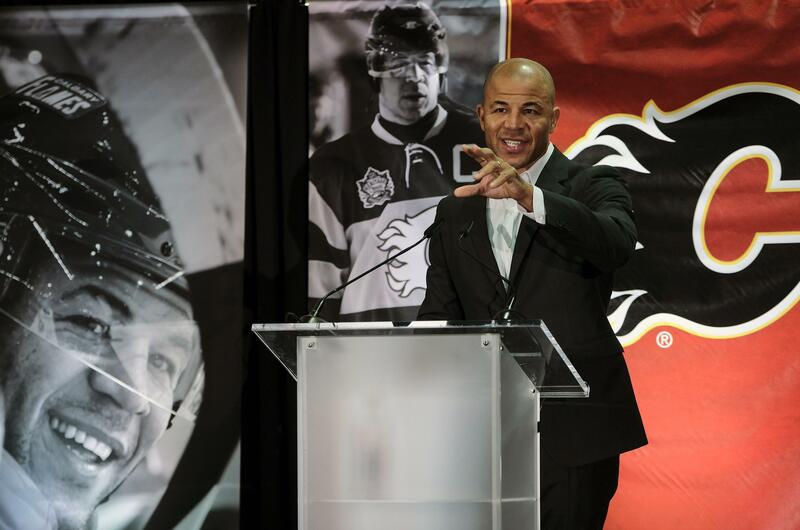 Iginla entertained a packed news conference at Scotiabank Saddledome with humorous stories about his career and teammates. He’s the Flames all-time leader in goals with 525. The captain for his last decade in Calgary also scored the most points and played the most games. While a Stanley Cup eluded the likely Hall of Famer during his career, he was a dominant power forward in the NHL. He assisted on one of the most famous goals in Canadian hockey history when he set up Sidney Crosby for the overtime winner in the final of the Olympic men’s hockey tournament in Vancouver in 2010. Published: July 30, 2018, 5:44 p.m.